WIN! 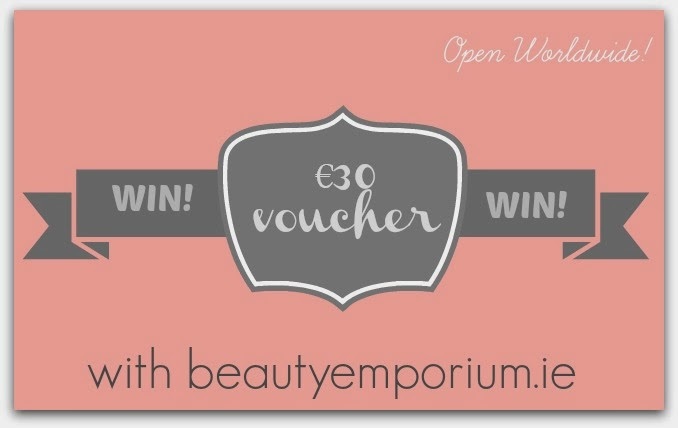 €30 Voucher for Beauty Emporium - Open Worldwide! Beautyemporium.ie is one of my favourite spots for a bit of online beauty browsing; with hard-to-get (in Ireland, anyway) brands including NYX, Sleek and China Glaze, I will always find something to tickle my fancy. The site has also become a firm favourite for its excellent customer service and speedy delivery. Now it’s your turn to see what all the fuss is about because I have a €30 voucher for one of you – you know the drill, just pop your details into the widget below! Have a great weekend y’all. Love the website. The nail polish selection is amazing! i'd buy something for myself for xmas if i won this! Right in time for Christmas presents rush)) Thank you! Would be great for Christmas! I'm a big fan of beauty emporium too, love China glaze! would be a wonderful treat! great give away yet again! Would have no difficulties spending this! This would be a nice prize! Great giveaway Em - I've never used this site but going to check it out now. OOhhh I could do with this one! Great Giveaway, Its a brilliant site too! Especially for those harder to get items in Ireland! Hi F&F, I would love to win a €30 VOUCHER FOR BEAUTY EMPORIUM! another great giveaway thank you! Liked and tweeted and subscribed and all that jazz Emma! Unreal prize, I love that site! Another great competition - would love it please !! so good! hope to win! I'd love to try out some Sleek stuff!